The Pumpkinvine Nature Trail has been around long enough that you couldn’t be blamed for thinking it was a finished product. But anyone who has been on a particular section between Goshen and Middlebury will realize there is a gap. 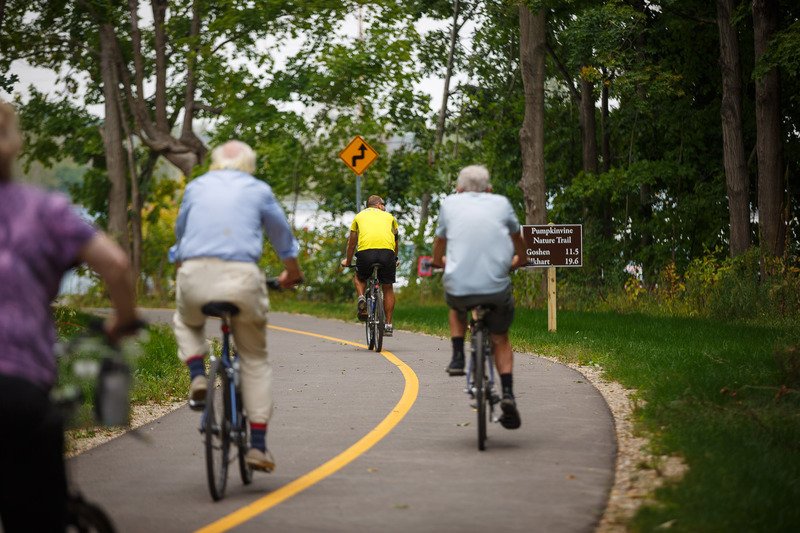 For a relatively short distance, walkers and bicyclists who wish to continue on the trail must traverse County Roads 20, 33 and 35. A major portion of that gap is being closed, thanks to the work of the Friends of the Pumpkinvine Nature Trail. The group has been working with property owners to acquire the land necessary to build additional trail. The long-anticipated construction of a one-mile extension to the Pumpkinvine Nature Trail between County Road 33 and County Road 20 is scheduled to begin this spring. The exact date is uncertain because trail consultants and Elkhart County Parks, the agency that will oversee construction of the trail, are waiting on a permit from the Army Corp of Engineers related to wetlands in the construction area.